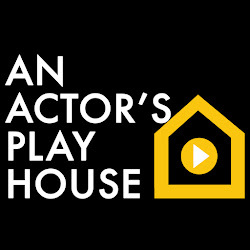 I wrote a blog right here on An Actors Playhouse about "WHAT EVERY ACTOR SHOULD KNOW ABOUT AUDITIONING", and I gave you a list of words every actor should know the meaning of. I got a lot of positive feedback, and a lot of you asked for more. So, I have decided to share more terminologies that you must know before going on a professional set. Sometime ago, I traveled to shoot a movie. 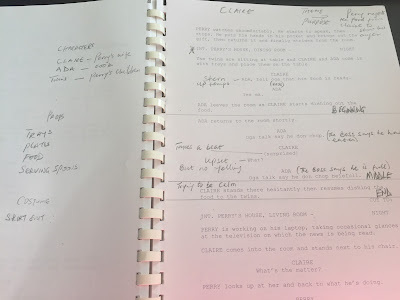 Prior to my arrival I had studied my script, done my character analysis, script breakdown and all that was left was for me to run it by the Director to make sure that I was on the right track. However, I was thrown of course when the Director told me that I was actually playing the role of a woman who exists and not a fictional character. I am sure some of you might be wondering, 'Ok, so why exactly did this throw you of course'? Do you know what it means to be STILL in a scene? It is one of the strongest points in your acting. Click on the video below and watch me share this amazing acting tip with you. Getting into acting is one thing, but understanding why you got into it is another thing. Booking one job is one thing, but staying relevant in the industry is another thing. Meeting people in the industry is one thing, but maintaining a long term relationship is another thing. Having raw talent for acting is one thing, but studying and mastering the technique is another thing. One of the most shocking and most annoying things I have found when I watch some actors, is that they do not act when they are not speaking. That is the number one scene killer for me. 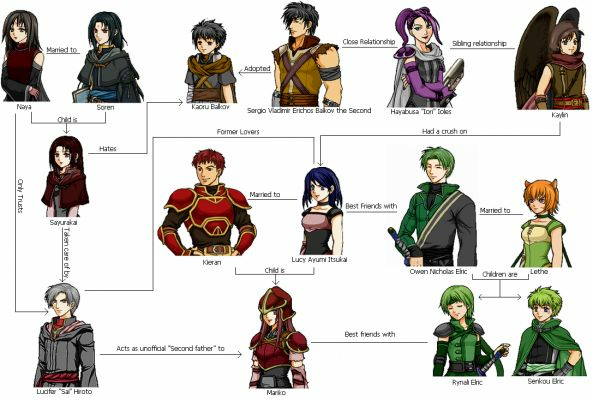 Relationship Tree is a word you may not find in many acting books, neither will you hear a lot of acting coaches mention it. They may use a different term to describe it but I like to call it what it is, just to simplify it. Sometimes, when actors come across words like this in their course of study, they get overwhelmed. A lot of people make things sound more complicated than they really are by making the meaning of what you are studying very difficult to understand. It is already tedious to study all the topics you will need in becoming a good actor, so let us make it easier for you to understand what you are about to study. "Remember that this blog is not a full class, it is a guide to make things easier for you so that when you attend a proper class and read books, they become clearer and easier for you." As acting students, we already know the meaning of the word SCENE but if you don't then you will need to start all over by getting a book of acting terminologies. 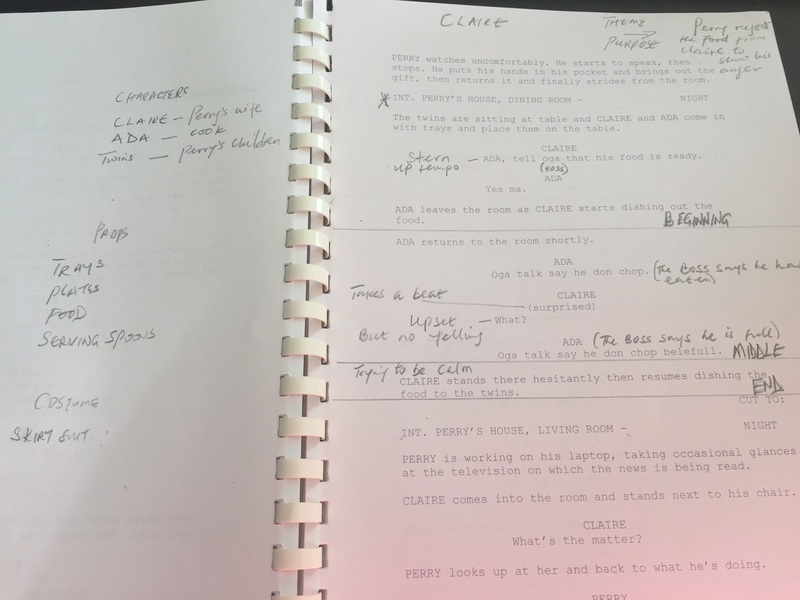 There are different scenes in a script for film and all the scenes must be broken down into individual stories so that you can understand what PURPOSE each scene is serving in the script or story. Breaking down each scene and exploring its purpose, meaning and impact is what we call SCENE STUDY. Simply put, the study of the scene. Sounds so simple, yet complicated.